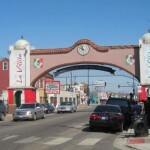 Lutheran ministry in Chicago’s Hispanic-Latino neighborhoods has been going on for many decades. & Aura Simball (Ecuador) are among those who have served or are currently serving Lutheran Hispanic-Latino ministries based in Metropolitan Chicago. Soto (Iglesia Luterana de la Trinidad) and +Marina Fontanez (Iglesia Luterana Santa Maria / St.
Larson, Robert Alsleben, Gary Mills, John Johnson, Gary Marshall, Susan Birkelo, Paul Erickson, Anna-Kari Johnson. Branching out from our issue theme, Gregory Holmes Singleton, probes a “Diversity of a Different Sort.” Theological diversity, he notes, “has received significantly less attention.” On behalf of the Let’s Talk Editorial Council, our author advances a call for dialogue among us and with our ELCA seminary presidents on this contrast. In his “On the Way” column, Ben Dueholm anticipates the ELCA’s denominational treatment of a polarizing issue. “Anxious Exegesis and Immigration” addresses issues which come to life poignantly in Hispanic-Latino communities in our region, most notably Carpentersville and Waukegan. Biblical interpretation and our language for God, both items of contention in our times, are taken up by Pr. Frank Senn in his “As I See It…” column and by Pr. Wolf Knappe in his essay. Both serve to stimulate dialogue among us. evident in the Readers’ Responses published in this issue. The Editorial Council encourages such response, whether of essay, letter or note length. We anticipate that the next issue of Let’s Talk will feature coverage of the ELCA’s Tenth Churchwide Assembly at Navy Pier, including on-location reports and essays from Metro Chicago Synod voting members. Another future issue will feature four exemplary congregations doing significant community ministries within the Metro Chicago Synod. 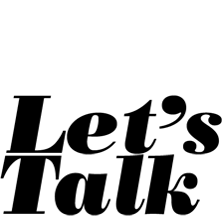 Later this year, our readers are warmly invited to celebrate the first twelve years of Let’s Talk. Plan now to attend a festive banquet and gathering at the Polo Café 3322 S. Morgan in Chicago’s Bridgeport neighborhood on Saturday, November 10th, 2007 at 5:30 pm. Tickets will be $50, with proceeds benefitting the ongoing publication of Let’s Talk. You may reserve your tickets by contacting Pr. Nicholas Zook at nzook@concordia-chgo.org or by calling him at 773-281-1225. We’ll announce an engaging guest speaker, the menu and other special features of the evening at a later time. How Do We Talk About God?